1 of 2 In a small, lidded pot, bring 21/2 cups water and sugar to a boil. Turn off heat. Add tea bags; cover and steep 4 minutes. Cool. 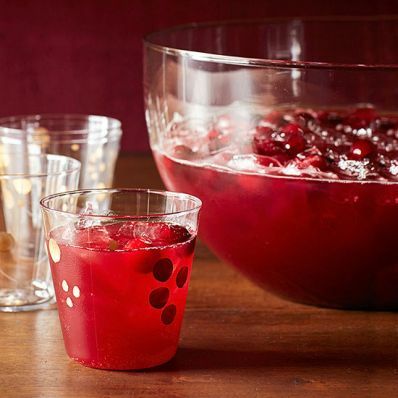 2 of 2 In a medium punch bowl, combine cooled tea, cranberry juice, sparkling wine and ice. Stir. Pour in frozen cranberries. Serve cold. Per Serving: 0 g fiber, 0 g pro., 1 mg sodium, 0 g Fat, total, 0 mg chol., 0 g sat. fat, 11 g carb., 107 kcal cal.